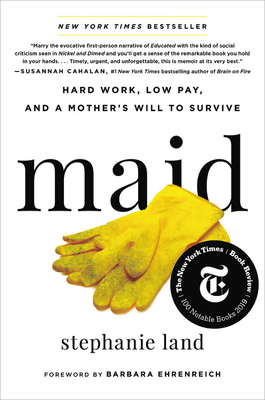 In this absorbing memoir, single mom Land chronicles her life cleaning homes in the Port Townshend area, alternating her own journey with profiles of her cleaning jobs. The stuff of homes often reveals the nature of its inhabitants, both in what’s there and what’s missing. Even the particular grime of a space can tell a story. It’s a narrative that offers an insight to working life in the vein of The Long Haul with some social justice insights that will appeal to fans of Nickel and Dimed. One particularly galling response to her need for public assistance is the tendency of strangers and quote-unquote friends to say ‘you’re welcome.’ As dire as the situation gets (compromised living situations, not enough money for her daughter Mia, hostile exes, opportunities that don’t pan out), Land never loses sight of her goal, to get to Missoula to further her education, and Maid had me cheering the author on as she slowly finds her footing.